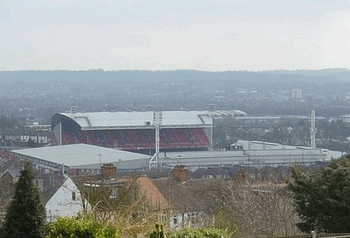 In spite of the stadium’s relatively short lifespan, it has got more of a story to its name than some much older grounds around the country. 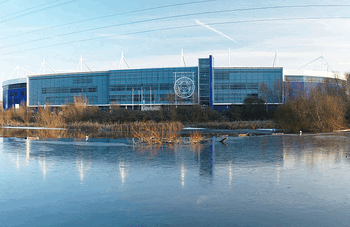 Originally proposed as a stadium for Manchester’s ill-fated attempt to hold the 2000 Olympics, it went on to host The Commonwealth Games in 2002. 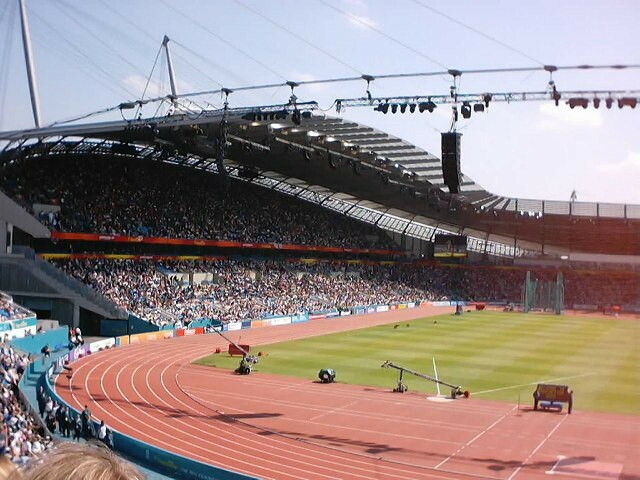 It was hoped that The City of Manchester Stadium would become a premier venue for athletics when the games were over. 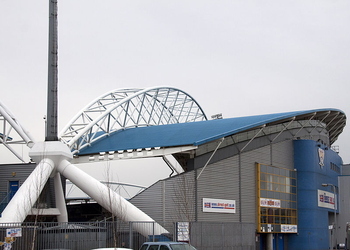 Instead the stadium was converted in 2002 to make it into a football ground and the new home of Manchester City who were keen to leave Maine Road for pastures new. 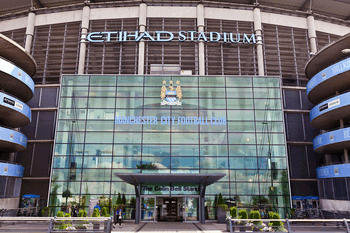 The Etihad, as it is officially known for sponsorship reasons, cost £112 million to build and has received awards for its design, including a special award from the Institution of Structural Engineers in 2003. The Etihad is actually a bowl shaped ground rather than a more traditionally four-sided stadium. Regardless of that, each part of the ground is named after its physical location, with additional names depending on sponsorship. 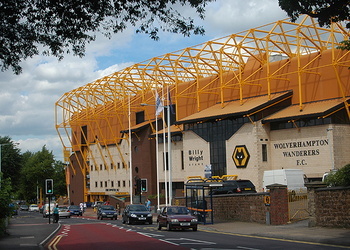 The West Stand - Renamed as The Colin Bell Stand in 2004 in honour of the club’s former player. 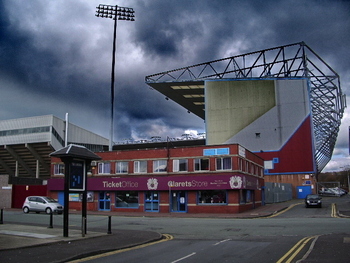 The East Stand - Known colloquially as The Kippax Stand as a tribute to the noisy stand in the same location at Maine Road. 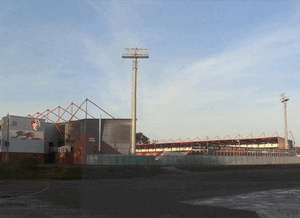 The North Stand - This was the only part of the ground that was actually built after The Commonwealth Games and for a time it was known to supporters as The Gene Kelly Stand. This was because part of it didn’t have a roof, meaning fans were always ‘singing in the rain’. It is now the best stand to go to with young children as it is the family stand. 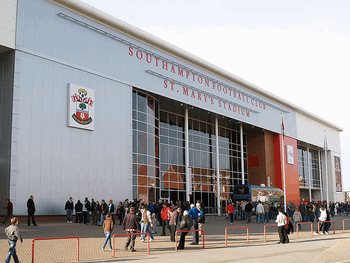 The South Stand - This is the stand where you’ll find the most vocal supporters. 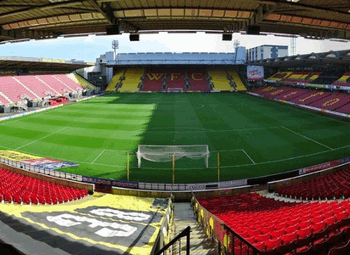 That is likely because it is also where you’ll find the fans from the visiting team, meaning rivalry and banter is at an all time high in the South Stand. In truth, Manchester City don’t make it easy to find out how much their tickets cost unless you’re looking for a specific upcoming game. Don’t worry, though, that’s what we’re here for! They tend to break their prices down into categories depending on the popularity of the match. Normally the tickets go on sale to members of the Cityzen Club, with any remaining tickets tending to the go on general sale. We’ll give you a rough idea of how much tickets will cost by telling you the most expensive & the cheapest for adults and concessions. As with most Premier League clubs nowadays, the best way to get tickets is via the official website. You can call the club and speak to the box office too, but it’s not as straight forward as going online where you’ll also be able to see a 3D map that can show you exactly what your view will be. There might be people flogging tickets near the ground, but there’s no guarantee that those will be real so we advise that you avoid them. The Etihad’s location near to the heart of Manchester means that there are numerous options for how to get there. Whether you’re travelling by car, bus or even bicycle your options are numerous. Train - Manchester Piccadilly Station serves most of the country either directly or indirectly, so that’s your first port of call. From there you can walk to the stadium in about 25 minutes or you can jump on The Metrolink tram towards Ashton, stopping at Etihad Campus and get there in less than 10 minutes. Trams run every 6 minutes or so on match days. 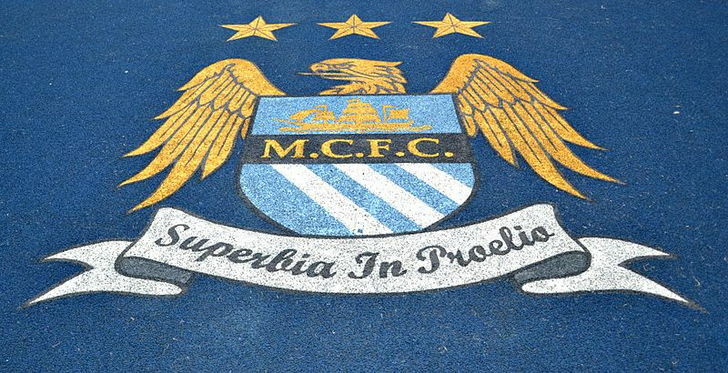 Bus - There are a host of buses that travel from Manchester city centre to the area surrounding The Etihad. After the match you can also head to Aston New Road and find them all lined up waiting to take you back to central Manchester. Buses 216, 231 and 237 all depart from Piccadilly Gardens and sop near the ground. Car - If you’re heading to The Etihad then the best thing to do is to put the postcode into your Sat-Nav and follow the instructions. M11 3FF is what you’re looking for if you choose to opt for that. By Air - Manchester Airport is one of the biggest airports in the country, so wherever you’re flying in from you’re bound to be able to get to the nearest airport to City’s ground. You’ll then be best off taking the train to Piccadilly and getting the Metrolink from there. Taxi - Taxis from Piccadilly Station will take about 5 minutes depending on traffic and will set you back between £4 and £10. Parking is available in the Blue Car Park at The Etihad for £10. 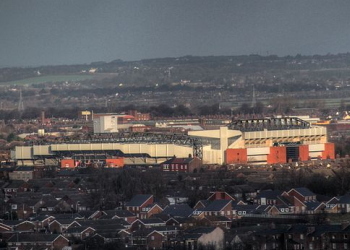 There are numerous unofficial parking areas around the stadium too, but do be aware that police are continually cracking down on ‘rogue’ parking attendants that encourage you to park in abandoned grounds and charge you money for it, despite having no licence to do so. 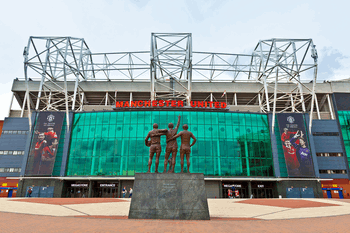 The city of Manchester has a huge amount of hotels in it and it’s only a 20 minute walk to the ground from Piccadilly Station, so don’t feel as though you have to find a hotel really close to the ground. Regardless, we’ve got some options for you here. 888 Oldham Road, Newton Heath, Manchester M40 2BS. Located about 1.6 miles from the ground, the Holiday Inn boasts a restaurant and bar, business centre and free parking. More details. With a full-service spa, a health club and a restaurant, The Macdonald is a lovely place to stay. The hotel is roughly 1.2 miles from the stadium. More details. If you’re hoping for something that’s more akin to a home-from-home then this place could be for you. With self-parking and a host of different room options, this is the one to consider if you’re travelling with your family. More details. Much like with the hotels, the location of The Etihad as near to Manchester city centre means that you won’t struggle to find a place to get a bite to eat or a quick drink before the match. Here are some of our choices for pubs, though. One for the home team supporters as you often won’t get in without a ticket, Mary D’s offers a brilliant atmosphere pre-game. An ideal place to go for drinks and snacks before the game and boasting a beer garden, The Bradford Inn often runs karaoke on a match day that you can get involved with if you feel particularly adventurous! Very much going for the ‘sports bar’ theme, The Green offers indoor golf, games like pool and table tennis as well as live sport on big screens. They also serve food, so it’s the perfect place to get a bit of scran and see what’s going on in the rest of the football before setting off to The Etihad. As one of the newest stadiums in the Premier League, The Etihad’s facilities are pretty much second-to-none. 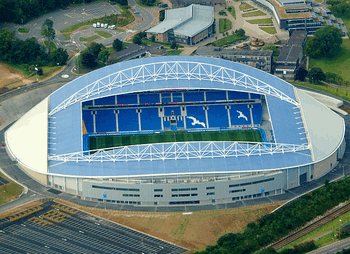 Just before the start of the 2013/2014 season the concourses got a multi-million pound investment that brought in new catering equipment, better fan facilities and even digital menus. From stands selling foods created by Jamie Oliver through to artisan hotdogs and grab ’n’ go drinks kiosks, you won’t be disappointed by your Etihad experience. As the richest club in the country, Manchester City offer exactly the sort of hospitality packages that you’d expect at The Etihad. Prices vary from match to match, but the experience remains the same. There is also the option to buy Premium Seating if you’d like to sit in comfort but aren’t too bothered about the trappings that go with the comfortable seats. Examples of the sort of thing you could hope to experience if you opted for hospitality at The Etihad includes The Legends Lounge, The Citizens Lounge and The 1894 Club Bar. The Legends Lounge includes a chef’s buffet table, cash bar and a match day programme. 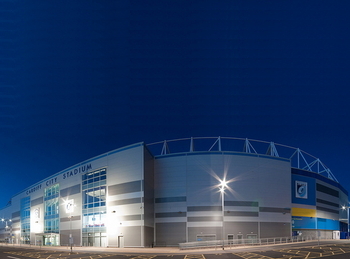 Citizens enjoy a carvery meal, half-time and full-time refreshments and parking, whilst a visit to The 1894 Club Bar will see you get a private, executive cash bar, food available for purchase and betting facilities. The Etihad offers excellent private hire options, with Platinum Boxes, Experience Boxes and various lounges available to cater for whatever event you may be looking to host. 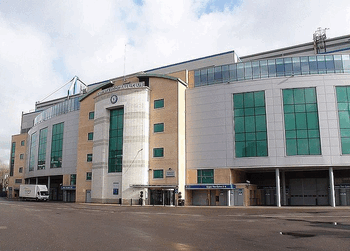 The stadium is also licensed to host weddings, so if you’re hoping to enjoy your special day in the surroundings of your favourite football club then do get in touch with the club’s dedicated wedding coordinators. 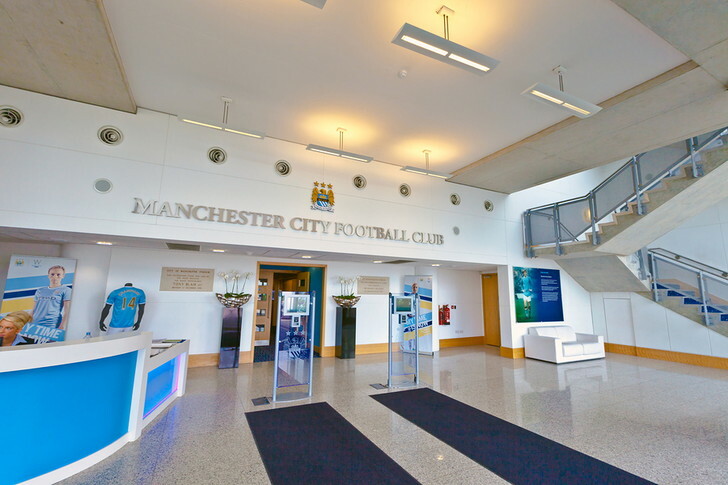 Tours of The Etihad Stadium take in the view from the Director’s box, the press room, the player’s lounge and warm up room, the first-team dressing room, the tunnel and a ptichiside walk down to the manager’s chair. The tour lasts about 70 minutes and includes 20 minutes for you to wander around an exhibition that looks at the history of the club as well as where they see things going in the future. You’ll also get a club lanyard and 10% discount at the club shop for the day of your tour. Tours run every day between 9am - 5pm (10am - 5pm on Sundays and bank holidays). There are also Friday night tours from 5pm. It will cost you £17 if you’re an adult, £11 if you’re under 16 and £12 if you’re a student or you’re over the age of 65. 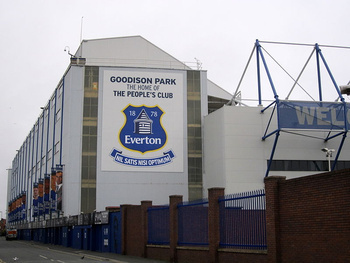 Founded as St Mark’s in 1880 before becoming Ardwick Association Football Club in 1887 and then Manchester City in 1894, this is one of the true nouveau riche clubs in the Premier League. Something of a yoyo side - dropping into lower divisions and then coming back up again - Man City began to take the world by storm when they were bought by Sheikh Mansour and the Abu Dhabi United Group in 2008. Though their past contains league championships, FA Cups and European Cup Winner’s Cups, they only really started to enjoy consistent success after the were able to buy the best players in the world from 2011 onwards. Since then they’ve won the Premier League twice and have consistently qualified for the Champion’s League. 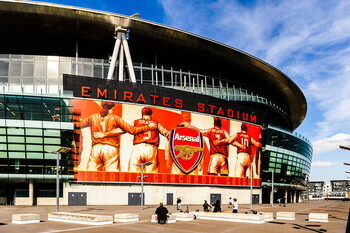 According to Forbes magazine they are the fifth most valuable football team in the world. Though it was originally built to host athletic meets, The Etihad has also been the home to a UEFA Cup final, England international fixtures and numerous music concerts. 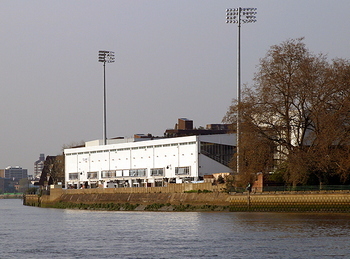 It has also hosted a world title boxing match and the final game of the England rugby union team’s World Cup in 2015. 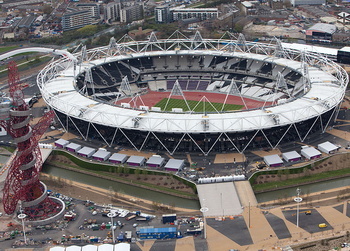 The stadium has won a number of different accolades since its inception. 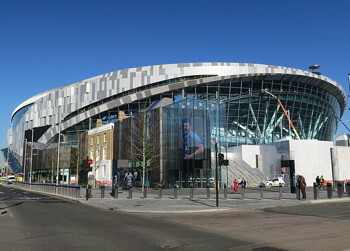 In 2004 it was given an award by the Royal Institute of British Architects for its innovative inclusive building design. If you’re interested in such things then you might like to know that the roof is toroidal-shaped and is held together by a system of tensioned cable nets. Manchester City are constantly looking to expand The Etihad and their long-term aim is to make it the second largest stadium in the country. 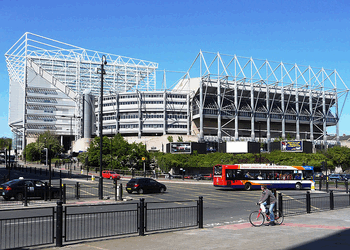 When all of the work is completed the ground will be able to host in excess of 60,000 fans.